Miss Lauren would like ALL challengers (Jr, Int, Sen) to complete this homework for tomorrow (Tuesday October 23). Please bring it to class with you! Here is the Convention Schedule and Competition Schedule for NUVO. All level 2 classes are cancelled on Friday, October 26th and NUVO is mandatory on Friday evening. Registration will begin at 4pm and Miss Jenn and Miss Victoria will be there to hand out wristbands. Please look for them. Also please remember to wear your new Alive Jackets. Miss Lauren is opening up 4 private lesson spots for dancers wanting additional time before they perform their solos at NUVO. Miss Lauren has released her times for the 1-on-1 meetings that all the level 3 dancers must complete. Dancers are to sign up in the lobby. Please sign up in the lobby. The times are in increments of 15min. We have arranged for a photoshoot opportunity for our Level 3 dancers! We are super excited about this! There are 2 different options and very limited space. It is first come, first served and Alive will be taking a $50 deposit to hold a spot for you on the day. 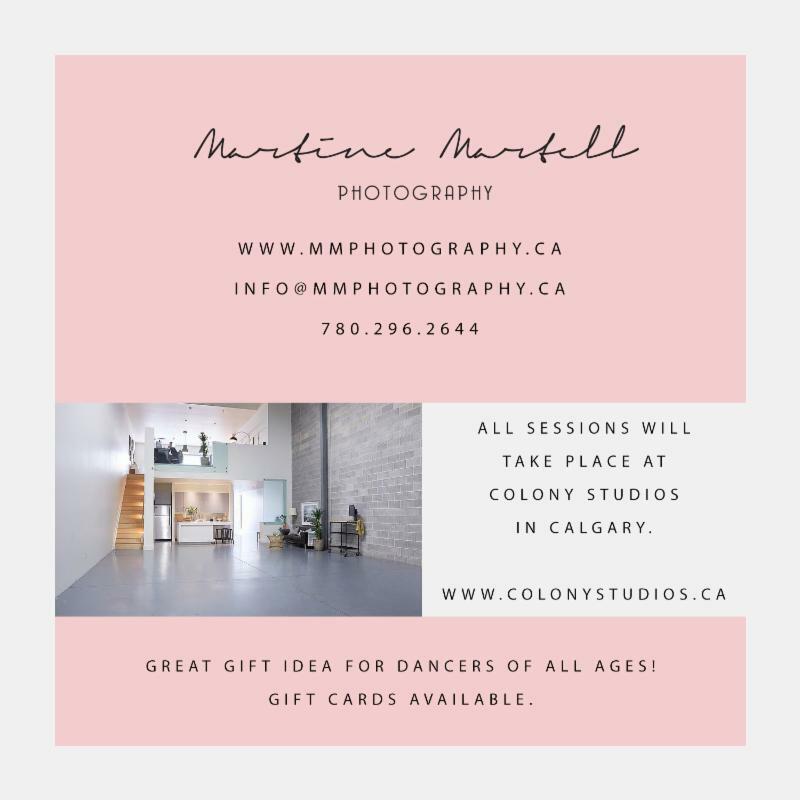 The photographer, Martine, will then reach out with for remaining payment and exact schedule. Siblings can get photos together if we book back to back. Some of photo time can be used for headshots if your dancers needs. 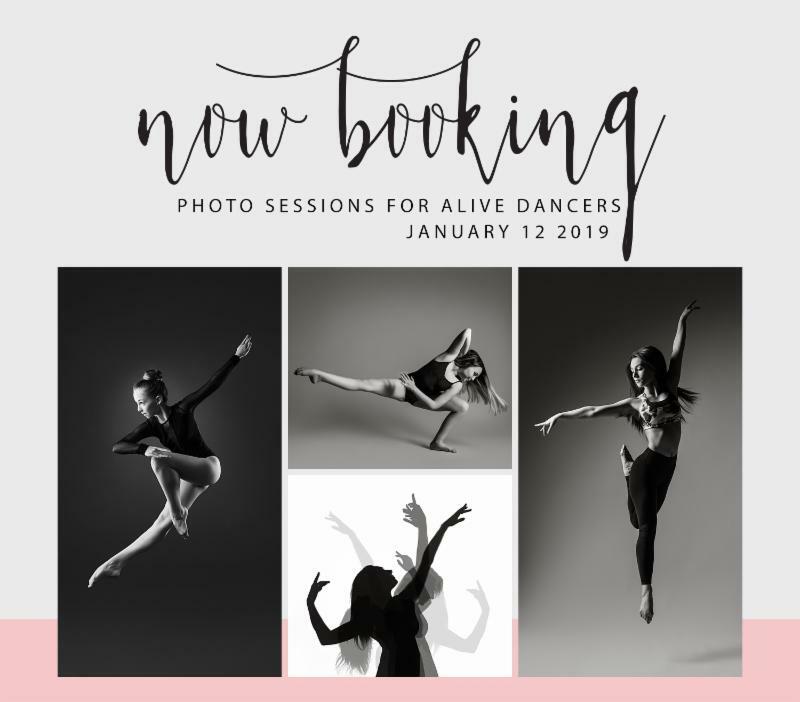 Alive will take a $50 deposit (upon spot reservation) to hold a spot for you on January 12th, but Martine will reach out with exact photoshoot time and to charge remaining balance of fees.